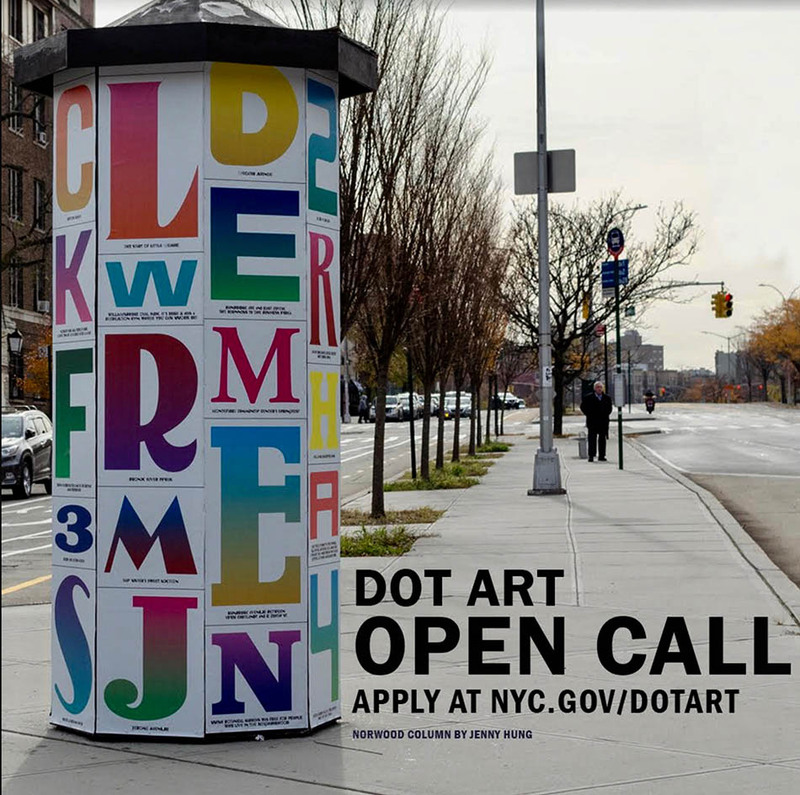 Artists are invited to apply to the Community Commissions 2019 open call in which DOT Art is seeking temporary, site-responsive art proposals in all five boroughs for implementation in spring/summer 2019. 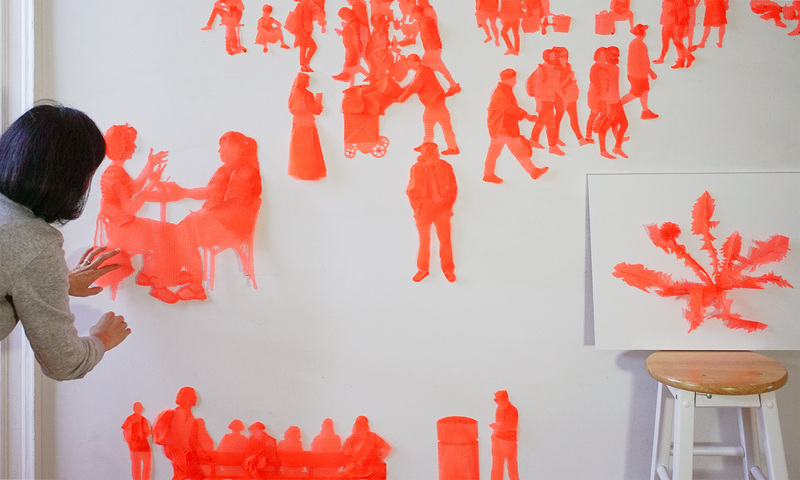 This round, applicants may submit sculpture or mural proposals to one of five priority sites. Selected artists are qualified to receive up to $12,000 towards direct project costs in addition to engineering support. Projects are presented with support from built-in community-based partner organizations. 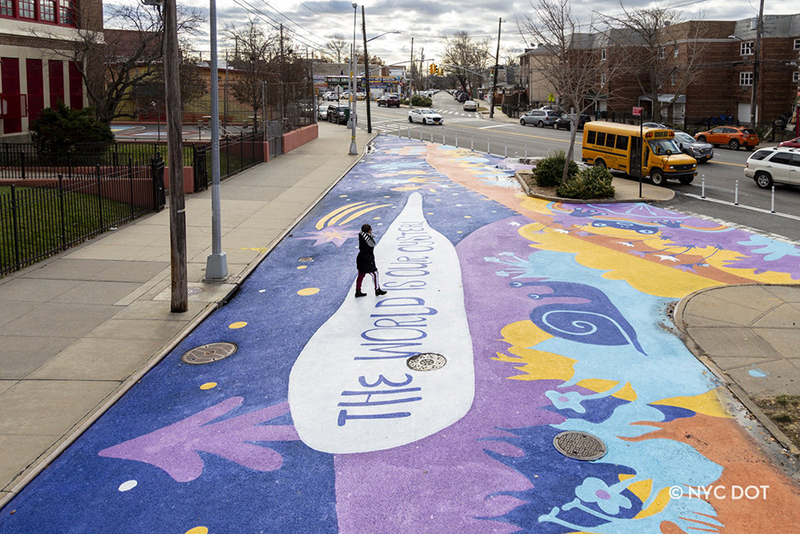 The World is Our Oyster by artist Carla Torres ~ one of DOTArt’s largest asphalt art murals, was unveiled December 2, 2018 on Thieriot Avenue in the Bronx. 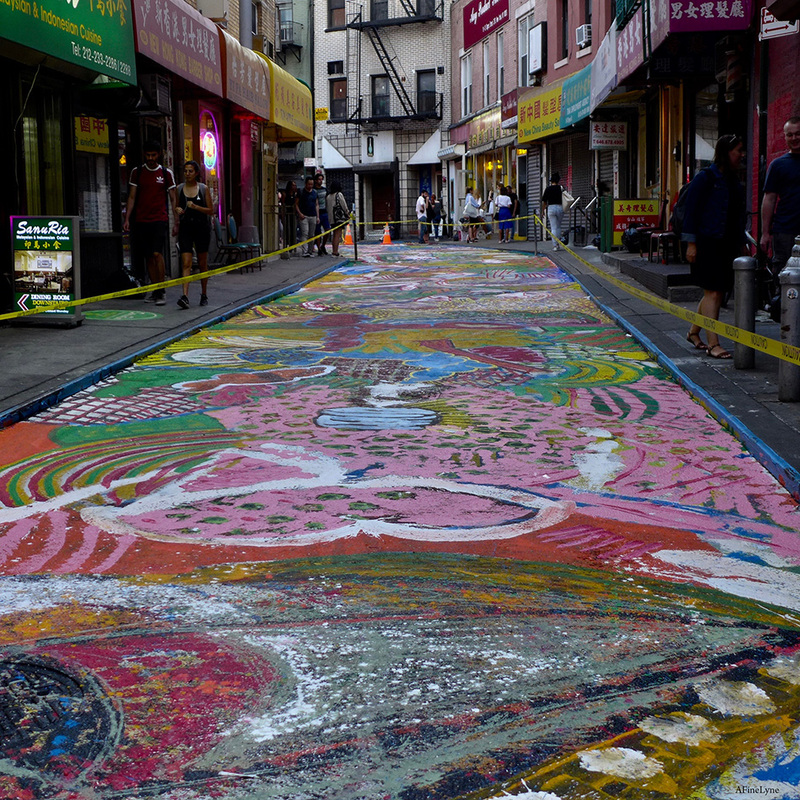 The Chinatown BID, NYC DOTart, Fou Gallery and ArtBridge have come together to present the street mural Chen Dongfan: The Song of Dragon and Flowers.